Separation of physical and apparent diurnal fluctuation from dielectrically measured soil water content (SWC) is critical for accurate estimation of temperature related inaccuracies. Evaporation process at soil surface was simulated under synthetic and semi synthetic conditions in HYDRUS-1D environment. At synthetic conditions daily evaporation rate was assumed as 12 mm while evaporation rates at semi synthetic conditions were estimated using meteorological data. This study used 12 soil moisture monitoring stations which represent various climatic and soil conditions to characterize high and low evaporation levels. Simulated SWC at semi synthetic conditions were agreed well with the observed SWC with hourly NASH value ranging from 0.45-0.6. As a consequence of less evaporation related diurnal fluctuations, amplitude of simulated SWC always lesser than that of the observed SWC after eliminating the rainy days and freezing period. For Mongolian sites 6-16% and 3-9% for Unites States’ sites consists of evaporation related amplitude variations of dielectrically measured SWC. Synthetic experiment results indicated that when ground water table getting deeper than 1m evaporation related diurnal fluctuations are disappearing from the near surface soil moisture. R. D. Jackson, “Diurnal changes in soil water content during drying,” Field Soil Water Regime, Soil science society of America, vol. 5, pp. 37-55, 1973. M. Lu, J. Kapilaratne, and I. Kaihotsu, “A data-driven method to remove temperature effects in TDR-measured soil water content at a Mongolian site,” Hydrological Research Letters, vol. 9, pp. 8-13, 2015. D. Or and J. M. Wraith, “Temperature effects on soil bulk dielectric permittivity measured by time domain reflectometry: A physical model,” Water Resource Research, vol. 35, pp. 371-383, 1999. R.G.C.J. 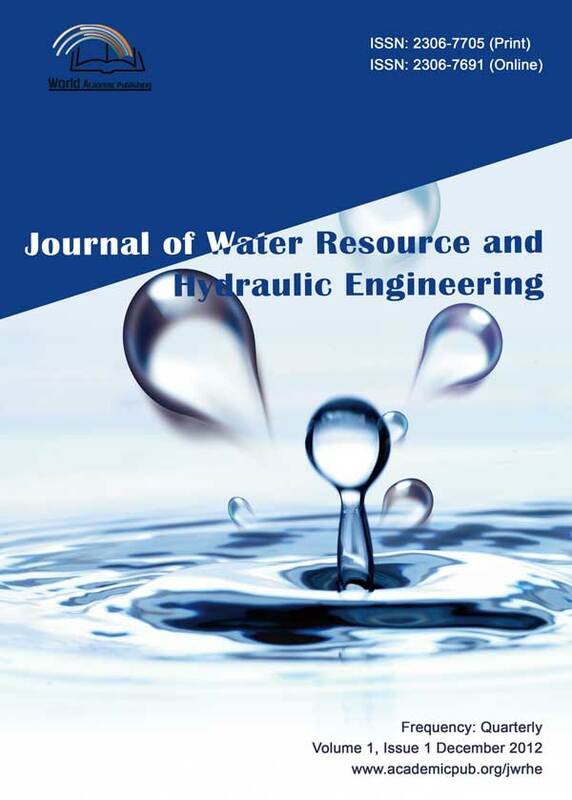 Kapilaratne and M. Lu, “Automated general temperature correction method for dielectric sensors,” Journal of Hydrology, vol. 551, pp. 203-216, 2017. J. Halbertsma, E. E. Van den, E. E., H. Bohl, and W. Skierucha, “Temperature effects in soil water content determined with time domain reflectometry,” Zeszyty Problemowe Postepow Nauk Rolniczych-Polska Akademia Nauk , vol. 436, pp. 65-74, 1996. M. Kottek, J, Grieser, C. Beck, B. Rudolf, and F. Rubel, “World map of the Köppen-Geiger climate classification updated,” Meteorologische Zeitschrift, vol. 15(3), pp. 259-263, 2006. T. Yamanaka, I. Kaihotsu, D. Oyunbaatar, and T. Ganbold, “Summertime soil hydrological cycle and surface energy balance on the Mongolian steppe”, Journal of Arid Environments, vol. 69(1), pp. 65-79, 2007. J. E. Bell, M. A. Palecki, C. B. Baker, W. G. Collins, J. H. Lawrimore, R. D. Leeper, M. E. Hall, J. Kochendorfer, T. P. Meyers, T. Wilson, and H. J. Diamond, “U.S. Climate Reference Network soil moisture and temperature observations”, Journal Of Hydrometeorology, vol. 14, pp. 977-988, 2013. W. A. Dorigo, W. Wagner, R. Hohensinn, S. Hahn, C. Paulik, A. Xaver, A. Gruber, M. Drusch, S. Mecklenburg, and P. Oevelen, “The International Soil Moisture Network: a data hosting facility for global in situ soil moisture measurements,” Hydrology and Earth System Sciences, vol. 15, pp. 1675-1698, 2011. W. A. Dorigo, A. Xaver, M. Vreugdenhil, A. Gruber, A. Hegyiová, A. D. Sanchis-Dufau, D. Zamojski, C. Cordes, W. Wagner, and M. Drusch, “Global automated quality control of in situ soil moisture data from the International Soil Moisture Network,” Vadose Zone Journal, vol. 12(3), 2013, doi: 10.2136/vzj2012.0097. A. Robock, K. Y. Vinnikov, G. Srinivasan, J. K. Entin, S. E. Hollinger, N. A. Speranskaya, S. Liu, and A. Namkhai, “The global soil moisture data bank,” Bulletin of the American Meteorological Society, vol. 81, pp. 1281-1299, 2000. J. Šimůnek, M. van Genuchten, and M. Šejna, “Development and applications of the HYDRUS and STANMOD software packages and related codes,” Vadose Zone Journal, vol. 7(2), pp. 587-600, 2008. W. R. N. Edwards and N. W. M. Warwick, “Transpiration from a kiwifruit vine as estimated by the heat pulse technique and the Penman-Monteith equation,” New Zealand Journal of Agricultural Research, vol. 27(4), pp. 537-543, 1984. G. H. Hargreaves and A. S. Zohrab, “Reference crop evapotranspiration from temperature,” Applied Engineering in Agriculture, vol. 1(2), pp. 96-99, 1985. J. E. Nash and J. V. Sutcliffe, “River flow forecasting through conceptual models part-I: A discussion of principles,” Journal of Hydrology, vol. 10, pp. 282-290, 1970. J. P. Walker, G. R. Willgoose and J. D. Kalma, “In situ measurement of soil moisture: A comparison of techniques,” Journal of Hydrology, vol. 293(1), pp. 85-99, 2004. A. W. Western and M. S. Seyfried, “A calibration and temperature correction procedure for the water-content reflectometer,” Hydrological Processes, vol. 19, pp. 3785- 3793, 2005.